Featherweight prospect Toka “T Nice” Kahn-Clary (22-1-0-1, 15 KOs) will look to continue to move up the divisional rankings when he fights dangerous, powerful puncher Braulio “El Chavo” Rodriguez (19-2, 17 KOs) on October 19th at the Freight Depot in Atlanta, Georgia in a scheduled ten-round bout for the vacant WBC Continental Americas title. This will be Kahn-Clary’s first main event bout and the first time that he is fighting for a title in his five-year professional career. The twenty-five-year-old southpaw from Providence, Rhode Island has won three in a row, two by knockout since his shocking first-round knockout loss to unknown fighter Jhon Gemino, in September of last year. This upcoming bout will be his second since he signed a three-year promotional deal with Hall of Famer Evander Holyfield’s Real Deal Sports & Entertainment company, after he has left go by his original promoter, Top Rank following his defeat. Kahn-Clary is currently ranked eighth by the NABF. He has beaten two undefeated fighters, Ramsey Luna and Jose Haro and former WBC titleholder Jonathan Perez. In his last outing, he completed a near shutout over Angel Luna as he prevailed by an eight-round unanimous decision on two scorecards 80-72 and 79-73 on the other. He dominated this one-sided bout and scored a seventh-round knock down from a hard right uppercut. He was gracious enough to take time out of his busy training camp to discuss with me his difficult childhood, his upcoming opponent, his new promoter, why he will become a world champion, and much more. James Stillerman: Can you discuss some of the trials and tribulations that you have had to overcome as a child to be where you are today? Toka Kahn-Clary: My father moved my younger sister and I to America from Monrovia, Liberia when I was just six-years-old. A year later, he was gunned down in the street. I never knew my mother or my other siblings. So from an early age, I moved from one troubling foster care home to another and I spent several lengthy periods of time living on the streets until I got adopted by the Clary family when I was fourteen. James Stillerman: How were you able to overcome that difficult childhood? Toka Kahn-Clary: Boxing helped save my life and turned it around in a positive direction. I joined Peter Manfredo, Sr.’s Boxing and Fitness Center at fourteen-years-old and it was one of the best things that I have ever done. Boxing kept me out of trouble while I grew up and it gave me some much needed joy and optimism about my future. James Stillerman: What do you do you know about Rodriquez? Toka Kahn-Clary: He is a really tough boxer who comes forward and likes to fight. He is also coming off a loss and does not want to lose two in a row, so I know it is going to be a difficult bout, but one that I should prevail. James Stillerman: What are your thoughts on fighting for a title? Toka Kahn-Clary: I am really happy because it demonstrates that I am in a good position to move up in my division. Anytime you have an opportunity to fight for a title, even a minor one, it helps you obtain additional exposure and opens up more opportunities for bigger and better bouts, as long as I win. My loss set me back a bit, so I know going forward, I not only have to win, but I need to do it in convincing fashion in order to prove to everyone that I am a fighter that is more than capable of winning a world title. James Stillerman: Why did the fight originally get cancelled and has that cancellation impacted your training at all? Toka Kahn-Clary: It got cancelled because of venue issues, but my promoter quickly got the fight rescheduled. This delay did not really impact my training routine because I am always in the gym, instead it gave me more time to improve my skills and become a better overall boxer. James Stillerman: How is your training camp going? Toka Kahn-Clary: It has been good. I have had some very good sparring partners in camp including Matt Remillard. I will be ready for anything that Rodriguez throws at me. James Stillerman: What kind of job has Real Deal Sports & Entertainment done with promoting you thus far? Toka Kahn-Clary: They have been excellent. Holyfield is such a great individual to be around and an excellent motivator, which are two things that I never experienced while I was with Top Rank. Holyfield has also done a good job at keeping me busy. This will be my second bout in four months and I am already fighting for a title bout, which again, never happened while I was with Top Rank, even though they promoted me for several years. James Stillerman: What are your plans for the rest of this year? Toka Kahn-Clary: Right now, I am only focused on my upcoming fight with Rodriguez and nothing else. After that bout is done, then I will talk with my manager and promoter and see what they think my next move should be. I would like to fight at least once more this year, but I will address that at the end of October. James Stillerman: What have you learned from your loss that will make you a better fighter moving forward? Toka Kahn-Clary: I can never take my opponent for granted no matter what their record is and I need to have my hands up at all times. I also do not need to go for the first-round knockout; instead I should be more relaxed in the ring and only press the action when I need to. James Stillerman: Are you interested in a rematch against Gemino? Toka Kahn-Clary: I have talked with my promoter about it and it is something that I want; however, it has not happened for a variety of reasons. I will be fine if I never fight him again, but I would not mind avenging that loss and demonstrating to everyone that I was clearly the better boxer. James Stillerman: Why do you think you will be a world champion? Toka Kahn-Clary: I am a multidimensional fighter who does everything well. I can either box or slug it out with equal success, whether it is fighting on the outside or on the inside. I got a good jab, a lot of speed, and two really powerful hands. I am a smart fighter who can figure out my opponent’s weaknesses and exploit it. I have also sparred with several current and former world champions like Chris Algieri, Javor Fortuna, Rau’shee Warren, Gary Russell, among others, so I have the confidence to know that I can compete with the very best in boxing. James Stillerman: Any closing thoughts? 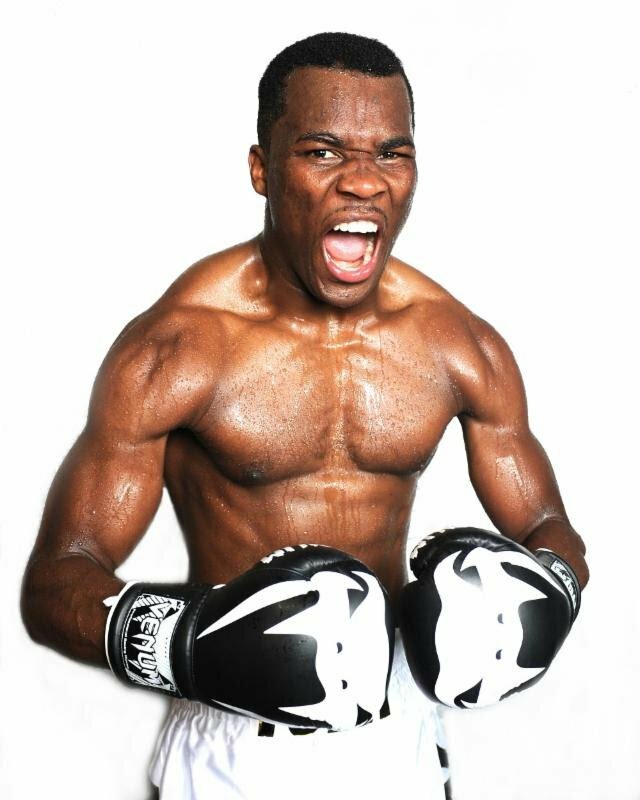 Toka Kahn-Clary: Boxing needs to watch out for me because I am going to be a world champion and bring the world title back to Rhode Island real soon. For more information and the latest updates on Kahn-Clary, follow him on Twitter and Instagram @tokakahnclary or friend him on Facebook at tokakahn.